Sophie loves Christmas! It's Christmas Eve and Sophie is busy getting everything ready for the next day. She wraps presents, decorates the tree, and fills stockings. Christmas morning is even more fun as there are gifts to open, games to play, and delicious food to eat. What's your favourite part of Christmas? Merry Christmas Sophie! will build your child's vocabulary as they discover the fun of Christmas, meeting familiar friends along the way - Gabin, Josephine, Kiwi, Lazare, and Margot. 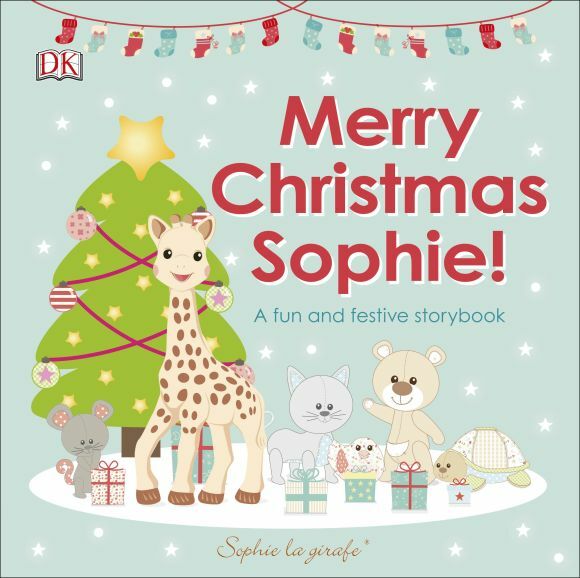 Fans of Sophie will delight in this new story board book, with a glittery cover adding a touch of Christmas magic throughout. This Christmas book is the perfect stocking filler for babies and will make sure a baby's Christmas is full of festive fun.